Whenever I need a dose of inspiration or hit a slump, I know that if I hop on over to YouTube and watch a TEDeX talk, I’m bound to feel re-energized and ready to take things on again! To be honest I don’t spend much time at all on YouTube - but watching TEDeX talks are definitely the exception. As an avid learner, I always feel like I’m learning something new or being offered a different perspective by watching one, so today I thought I’d round up some of my favorites where the lessons have had a really big impact. Plus, as fellow creatives and solopreneurs, I know you’ll appreciate these as they all hit home on topics I’m sure you’ll be able to resonate with. Carrie Green: How to program your mind for success. Carrie Green is the founder of the Female Entrepreneur Association and author of the book, She Means Business. I’ve been following her journey for years and even had the incredible opportunity of interviewing her on my podcast - she’s just as lovely as you’d imagine her to be! 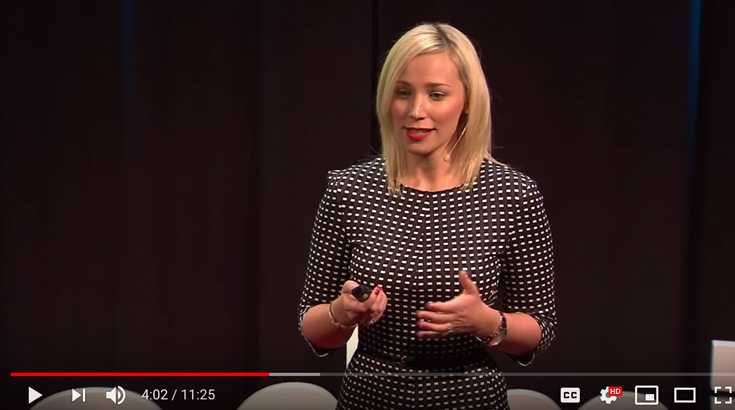 What I love about Carrie is that she balances the practical marketing and business side of things with the need for mastering our mind, which is what her TEDeX talk is all about - how to reprogram our mind for success. Obstacles: there are too many obstacles for us in the way of being able to achieve it. Motivation: we lack the motivation we need to take action and instead stay stuck in procrastination mode. The reality is that what is going on in our mind has a huge impact on the actions we take; the decisions we make, and the things we experience. Carrie really drives home the point that success is not an accident. Unless we’re very intentional about moving past our fears; pushing ahead despite the obstacles and showing up each day as the person we need to be in order to make it happen, we will always remain in the same place. 2. SARK (Susan Ariel Rainbow Kennedy): Succulence is powerful. I adore Susan Ariel Rainbow Kennedy - AKA SARK, and Beacon of Hope in a Chaotic World. SARK is an artist, writer and author of the books Succulent Wild Love and Succulent Wild Woman. Her books are gorgeous works of art filled with her loving and wise wisdom. Her TEDeX centres on the metaphor of a succulent plant, which nourishes itself from the inside and then feeds itself that nourishment to give it life. She illustrates how we can apply these exact same principles to loving and honoring ourselves to bring our creative gifts to life. I fully resonate with SARK’s story - it’s absolutely easier to not follow our life purpose. But as creative women, we have a responsibility to fill ourselves up from the inside first, instead of outwardly seeking people, things, events and circumstances to shape our life and our destiny. 3. Elizabeth Gilbert: Success, failure and the drive to keep creating. 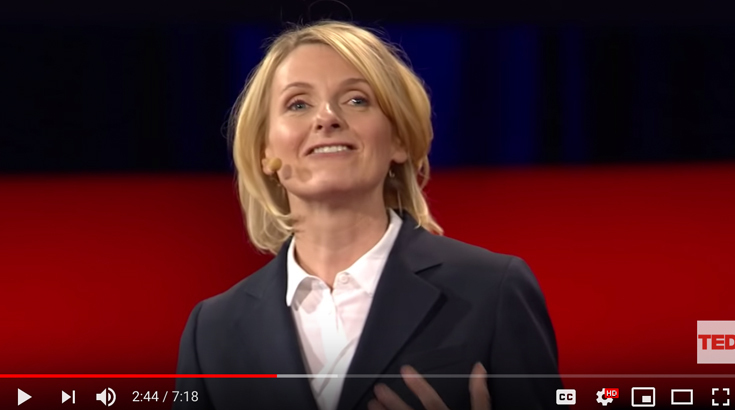 Short, sharp, yet extraordinarily powerful, Elizabeth Gilbert shares a potent lesson on how creativity can survive its own failure or success. She openly shares how after the huge success of Eat, Pray Love she knew that whatever she did next would be a hard act to follow. This kept her stuck for a long time and in the end the way she overcame it was by focusing on what she loves most: writing. Liz shows that it’s possible, regardless of whether you’ve had a massive failure or a huge success - to not let this get in the way of your work and make sure your creativity survives. 4. Terri Trespicio: Stop searching for your passion. If you’ve ever found yourself in the cycle of never moving forward with your goals and dreams because you’ve been stuck trying to figure your your passion - watch this. 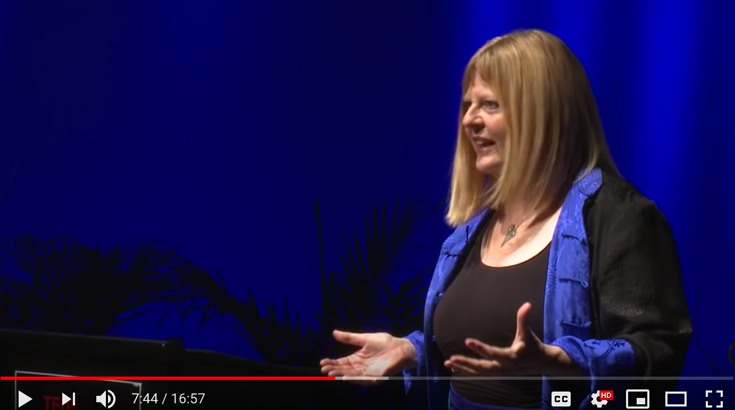 Terri shares the key to living your most joyful and fulfilled life - an approach I wholeheartedly agree with - which relies on failing your way to success. There’s so much advice out there telling us if we just simply ‘follow our passion’ everything will fall into place. But the whole idea that the path we follow and the steps we take need to fit into this neat little construct is just plain unrealistic. Her simple wisdom that “passion is not a plan, it’s a feeling. And feelings change” helps remove the pressure of needing to have this perfect ‘passion plan’ in place in order to move forward - this is so far from the truth! From the outside, it looks like Angela Ceberano, founder of Flourish PR, is one of the most confident people you’d ever met and has it all figured out. Exactly as you’d suspect from someone who runs her own super successful PR agency, leading a team of people. But the truth is, that behind her glossy exterior she struggles big time with fear and getting outside her comfort zone. She shares how she’s been able to successfully overcome her fears by creating “Fear Projects” in her life that are dedicated to facing her fears head on. One of her biggest fears was being on video, and the ways she overcame that was to launch her own YouTube Channel which now boasts over 26K subscribers - proving that if she can do it, you can too! So beauty, which one of these resonated with you the most? Also, please let me know in the comments your favorite TEDeX talks, so I can check them out!